Sometimes people stop following their dreams to meet the practical demands of reality. And this is what senior VP and GM of KGMB TV, Rick Blangiardi did when he shifted his career from football coach to corporate executive to support the needs of his family. Blangiardi might have lost a dream-turned-reality, but this did not stop him from being a facilitator of motivation and inspiration. Being positioned high up in the corporate ladder, Blangiardi believes in creating a challenging environment where employees can enhance their skills through the guidance of a mentor—the same principle he used as an assistant football coach. John Otterson is a widely experienced man when it comes to investment, and this stems from his childhood up to his long-haul involvement with Silicon Valley Bank (SVB) Capital. Otterson has more than 19 years of venture capital experience making him a valuable asset to the company where he is responsible for private equity fund investments and Limited Partner relations. John Otterson grew up in a business-inclined household where he was able to absorb the entrepreneurial cycle of birth, growth and sometimes failure of a company. Otterson became involved in a couple of start-up companies himself but started his corporate career when he came across SVB as a business school student. He has been working for the organization for 17 years and currently is with SVB Capital, the private equity arm of the bank. Dr. Ryan Ferchoff’s secret to success is simple—be economical. It is his providential nature and dream of growth that have given him business success. Dr. Ferchoff’s Natural Wellness Center at Manoa market has become profitable within a month after opening its doors. Darryl Mleynek is the incumbent state director of the Hawaii SBDC Network, specializing in consultation and training for existing and starting small businesses in the State. In 2000, he became the recipient of the SBA Financial Small Business Advocate of the Year Award for his contributions to public service. Mleynek and the SBDC help write business plans, get financing, do business research and the like for Hawaii entrepreneurs. 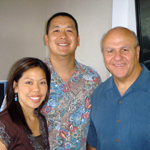 In this interview, he talks about his and the Hawaii SBDC Network’s role in uplifting the small business environment in the State. Punahou high school student River Kim, believing that he already has everything he desires, never asked for a present from his parents back in Christmas of 2003. Instead, he wanted them to give money to charity. But rather than writing a check, he came up with a much bigger idea of raising funds for charity—which became the birth of Malama Jam. With the help of his father, Greg Kim, and a small group of classmates, River put together the charity event effectively raising $57000 gross for local charities, including IHS and Children’s Alliance, since its inception in 2004. On May 21st, River Kim’s brainchild will once again shine this time to benefit HUGS or Help Understanding and Group Support. 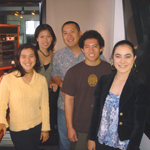 In March 2006, Greater Good Radio did a joint project with the SIFE team at Hawaii Pacific University and California State University, Chico where they won the regional competition, which secures their spot at the national competition to be held in May. Luke Tucker, president of Hawaii Pacific University SIFE, says that the organization aims to educate and help people through free enterprise by small business assistance and financing different entrepreneurial and educational projects. 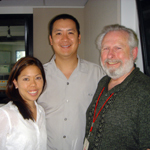 Thank you so much for the privilege of working with you and your company, Greater Good Radio. It is my pleasure to share with you that our Greater Good Radio project has won us the “Success Skills Individual Topic” trophy in the semi-finals that was held in San Francisco, California. We will now go on to compete in the SIFE National Exposition that will be held in Kansas City, Missouri. We are excited to share with the guests and judges our incredible experience with Greater Good Radio and their guests. The more I listen to the shows the more insight I pick up on myself and my role as an entrepreneur in my community. What your interviews do for me is put into words, many of the ideals and journeys I too go through. 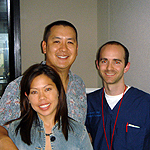 I started listening on the Famous Amos show. I was struck by how candidly Amos opened up about his failures how his ego played such a major role in his business life. I especially like how he’s come full circle and combining business with social responsibility. My wife is a big Amos fan from his articles in the Costco magazine. His insights are always right on. Jeff Watanabe can be perceived to be the most powerful man in Hawaii—if you consider his position as chairman of the board of Hawaiian Electric Industries, which supplies 93 per cent of the State’s energy to electric utility companies. And his position in the company is just one of his many roles as member of the board of 16 for-profit and four non-profit organizations. 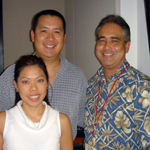 Jeff Watanabe also plays a role as an entrepreneur. He and his colleagues put together their own law firm in 1971–this, straight out of law school. At this time, Watanabe Ing. and Komeiji Llc was the youngest of its kind which went head-to-head with the five biggest law firms in the state. Mike McCartney is a real all-rounder. 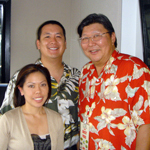 He has served in the Hawaii State Senate for 10 years and co-produced Hawaii’s number one local TV show “Hawaii Stars”. 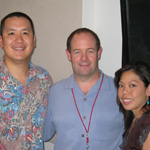 McCartney worked as a negotiation specialist for Hawaii State Teacher’s Association for his foremost job. And he has been the incumbent president and CEO of PBS Hawaii since 2000. 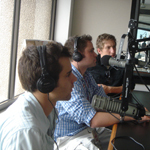 My introduction to Greater Good Radio began by accident while I was searching for the sports radio station 1420 am. I was not sure what the show was about. As I continued to listen I became more and more interested.